Association for Applied Therapeutic Humor 2002 Annual Conference !! 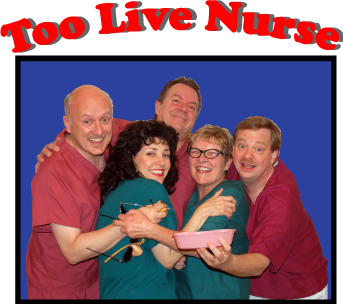 TOO LIVE NURSE received the Doug Fletcher Award for Excellence in Therapeutic Humor from the AATH!! On Saturday night, February 2, we had the honor of accepting the wonderful "Douggie" award. Look who else has received the "Douggie" award: Patch Adams, Jerry Lewis, and the Late Steve Allen!! WOW!!! This truly was an honor!!! View a photo album of our 3/4/2003 Too Live Nurse show for ODONA. Return to the TOO LIVE NURSE homepage.